Postseason starts this weekend for Classes 2A-4A. Several local teams begin the playoffs on Friday and Saturday. Nowata takes on Oklahoma Union in a local battle. The Ironmen guys kept up with Oklahoma Union for a bit during the team’s last matchup on Jan. 15. Nowata ended up losing 66-47. The 19-point victory for the Cougars marked one of only four times they have failed to win by more than 20-points this season. Oklahoma Union is a staggering 20-1 on the season, and is ranked at No. 5 in Class 2A. 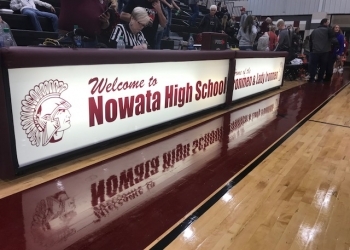 We will have that Nowata County battle on the radio on Monday evening on KRIG 104.9. Pregame set to begin just before 8:00 PM.